Today I'd like to welcome K. Ryer Breese to The Serpentine Library. He's here to talk about some of the research he did for his soon to be published debut novel, Future Imperfect. I did a bit of research. To be honest, most of the book is actually based on my own high school experience. Not the divination bits (though I've met people who've claimed to have "seen" things, but Ade and Vauxhall's relationship and the feeling of being seventeen and wanting desperately to belong to something meaningful. Many of the locations in the book are (or were) real places in Denver, places that I hung out at in high school. The book began originally with the scene of Vauxhall singing to Ade. I saw it happen my junior year though it was reversed with a boy singing to a girl. Same song and in a lunchroom. It was exhilarating to watch. The whole lunchroom just came alive. The concussion aspect came from a college experience. I mashed my head against a wrought iron staircase accidently (long story, embarrassing) and stumbled back to my dorm room in this hallucinatory haze. It was night and I felt like I was walking through a filigree forest. All the stars were only a few inches above my head. The air was electric. It was truly a weird feeling and it wasn't long before my friends noticed my behavior and called an ambulance. I was sick from it for at least a few days. I guess that's not really research but most of the book's paranormal aspects came directly from that night. 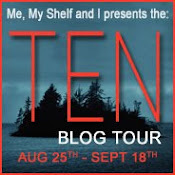 About the author: K. Ryer Breese lives in Denver. He's worked as a clinical researcher, a short order chef, a film critic, a patient advocate, and a teacher. He does not, as far as he knows, have any superpowers but he has had three concussions. 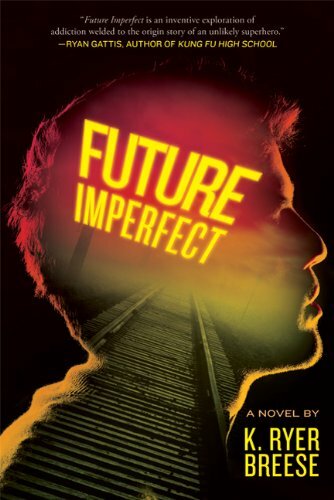 About Future Imperfect: Ade Patience can see the future and it's destroying his life. When the seventeen-year-old Mantlo High School student knocks himself unconscious, he can see days and decades into his own future. Ade's the best of Denver's "divination" underground and eager to join the heralded Mantlo Diviners, a group of similarly enabled teens. Yet, unlike the Diviners, Ade Patience doesn't see the future out of curiosity or good will; Ade gives himself concussions because he's addicted to the high, the Buzz, he gets when he breaks the laws of physics. And while there have been visions he's wanted to change, Ade knows the Rule: You can't change the future, no matter how hard you try.